28 April 1943: Keel laid at the Bethlehem Steel Shipyard Corp., San Francisco, Cal. 2 December 1946: Sold for scrapping to the Northern Metals Co. of Philadelphia, Pa.
7k Jean Carter Witter, born in San Francisco, Cal. on 31 January 1921, matriculated at the University of California at Berkeley in September 1938. He was a member of the national fraternity Zeta Psi. 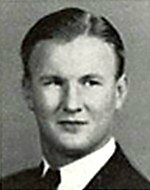 He graduated in the spring of 1942 and was commissioned an ensign in the United States Naval Reserve on 13 May 1942 as a result of his completion of the NROTC program at the university. 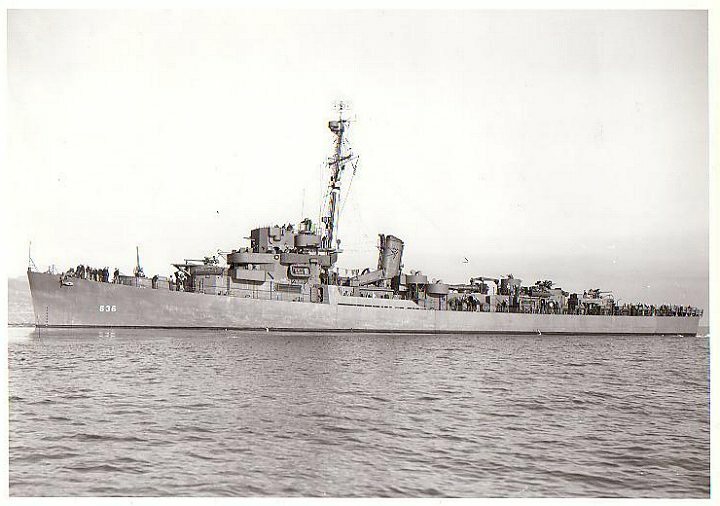 On 25 May, he reported to the Commandant, 12th Naval District for temporary duty while awaiting transportation to permanent duty in USS San Francisco (CA 38) then active in the Pacific. Once on board the heavy cruiser, Ens. 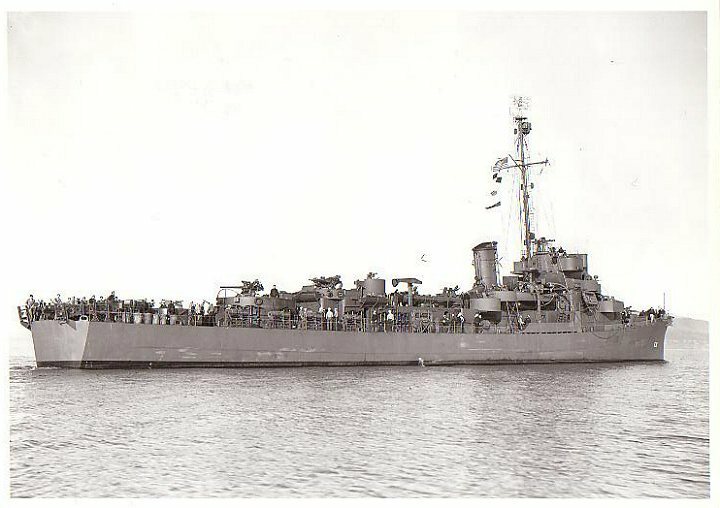 Witter participated in the assault on Guadalcanal and Tulagi early in August. 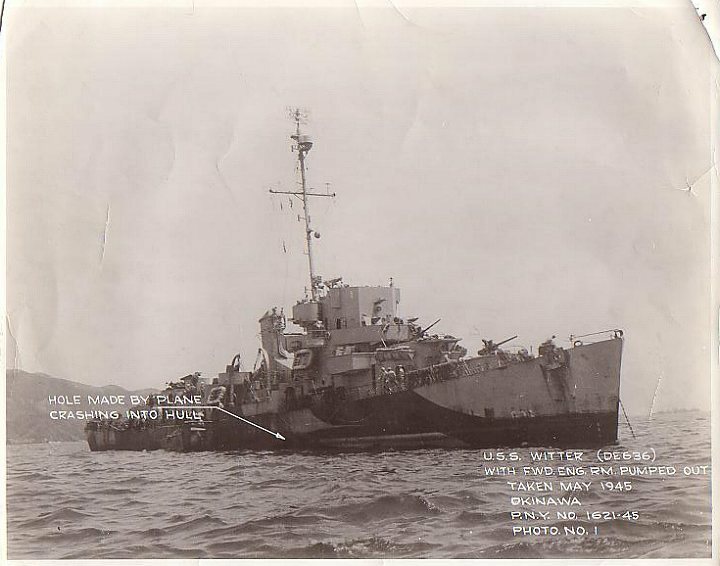 He was present when Wasp (CV 7) was torpedoed, and he fought in the Naval Battle of Guadalcanal. Ens. 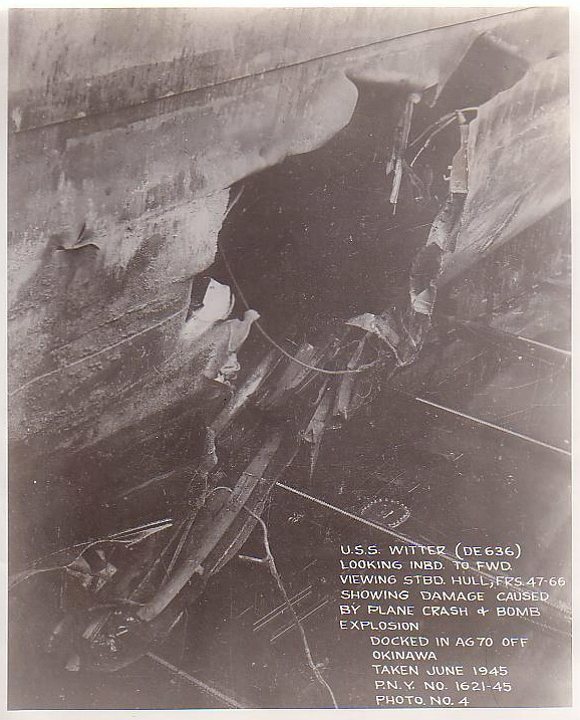 Witter was killed during the brutal night action off Cape Esperance on the night of 12 and 13 November 1942 as a result of one of the more than 45 shell hits suffered by his ship. He was posthumously awarded the Purple Heart having been killed in action as a direct result of wounds received in action with the enemy of the United States. 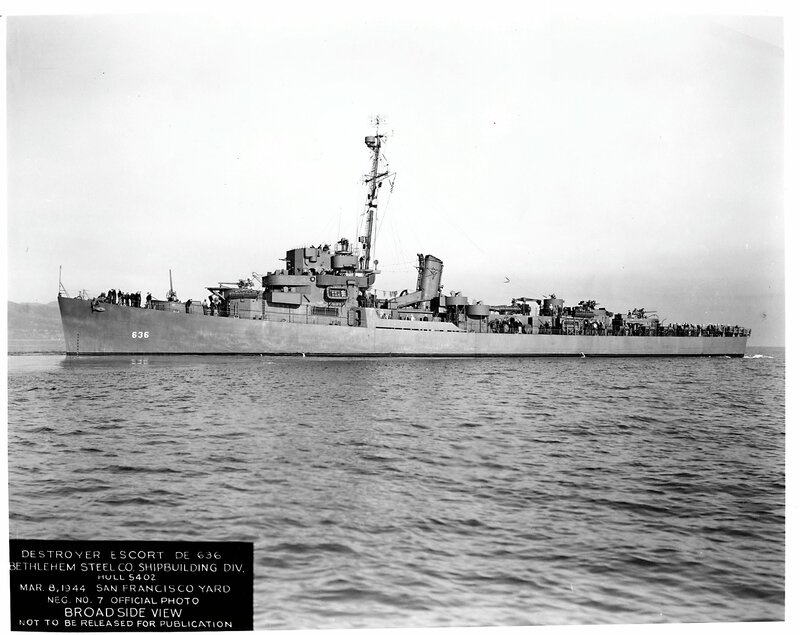 His other awards received posthumously included the Asiatic-Pacific Campaign Medal; American Defense Service Medal; and the World War II Victory Medal. 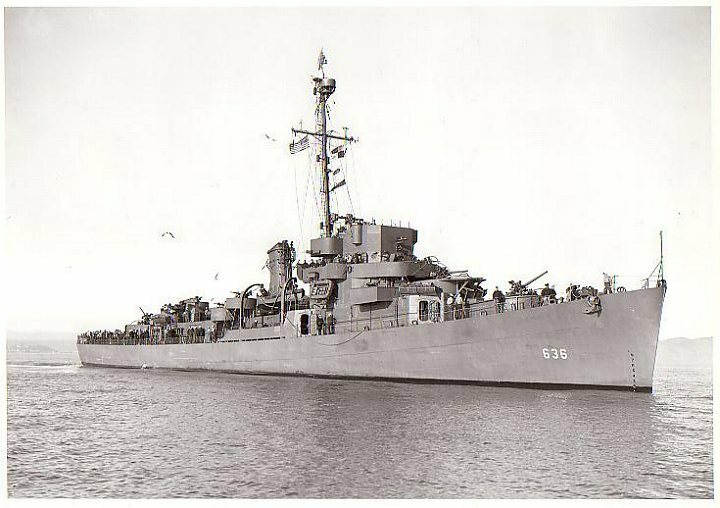 USS Witter (DE 636) (1943-1945) was the first ship to be named in his honor. 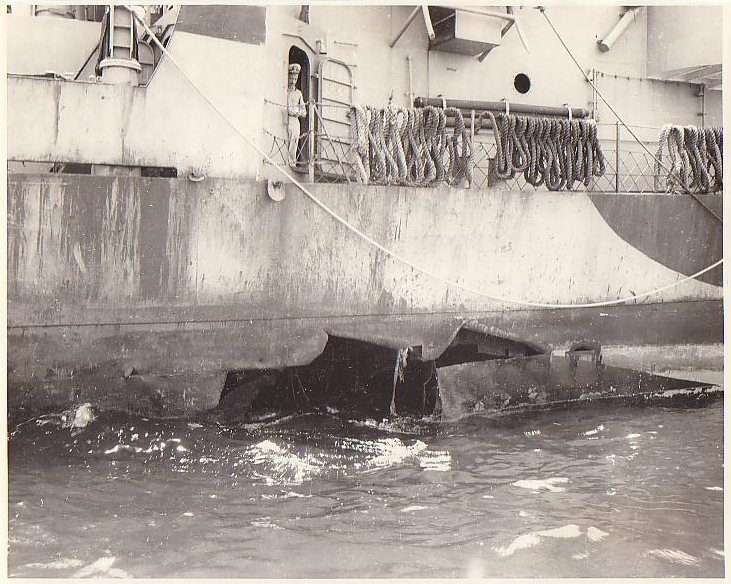 116k May 1945: docked off Okinawa - Engineering Officer Bruno Naczkowski inspects damage after being hit by "Kamikaze" on 6 April 1945.